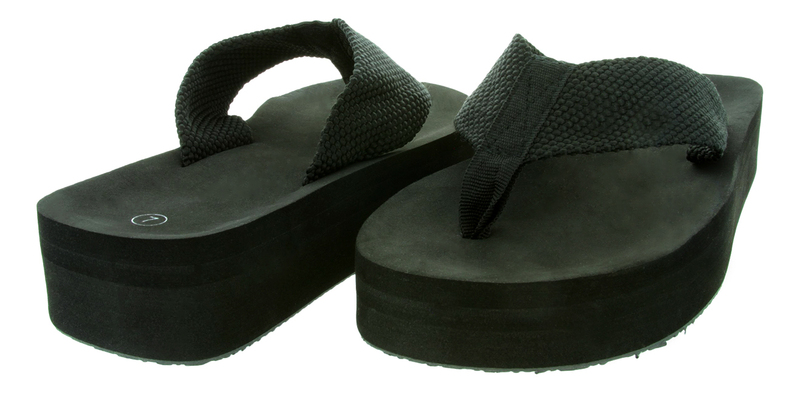 Dimensions: 1 1/2" Heel and curves down to 1 1/8" toe height. 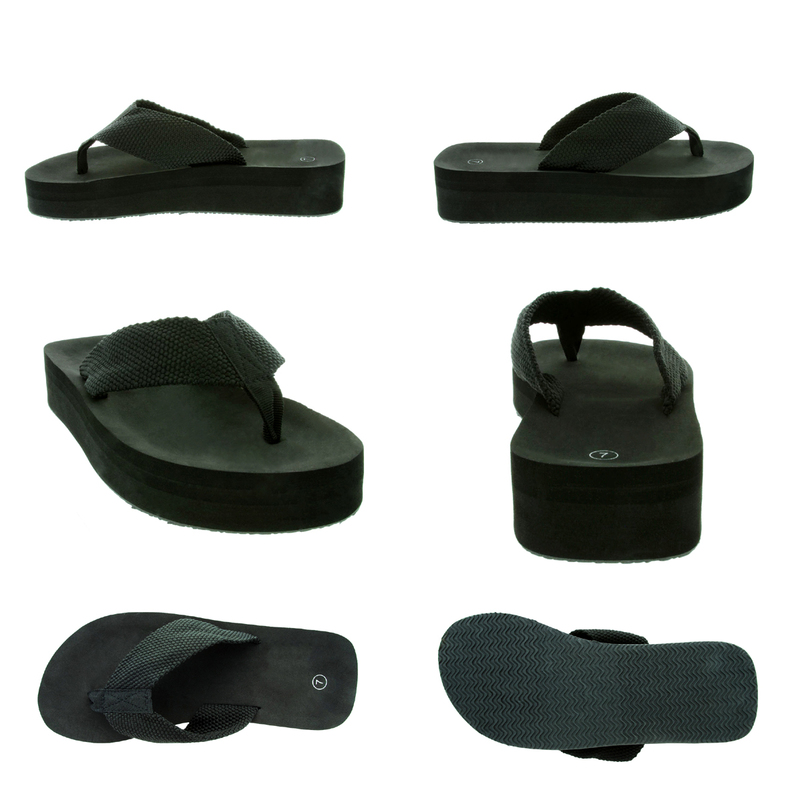 Strap width 1 1/2"
1.5" high platform flip flop featuring a black woven soft nylon canvas mesh strap that is 1.5" wide for good grip and comfort. A great pair of flip flops for casual everyday wear, grounded with a lightweight contoured foot bed for added comfort.